I’d planned a menu for the day, which was a pre-Christmas celebration, but I wasn’t disappointed to have to squeeze these in as an extra course, so we added an elevenses in to proceedings. The chocolate cake was fabulous and moist, with a great frosting. I’m not normally one for icing as it’s a bit too sweet, but everybody enjoyed it. This weekend we dropped in as a post haircut treat for the boys, after having admired the honeycomb doughnuts on Facebook recently. We bought a selection of cakes to share: a crumble slice, a honeycomb doughnut, and a piece of salted peanut and chocolate cake. They were all really impressive. The doughnut was the clear winner with the kids, but the grown ups like thed crumble slice best. I thought the salted peanut frosting on the cake was just right. There was also some fabulous smelling vegan hot chocolate, which I would have tried if we were staying in. Hot drinks are served with free from milk, so don’t go expecting a cappuccino with dairy milk. Business seems to be going well, as they had to close early a couple of times due to selling out of everything in the New Year. Best get there early! 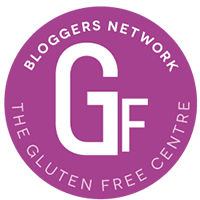 Tags: GFsheff, gluten and dairy free, gluten free cake Sheffeld, vegan food sheffield. Bookmark the permalink.